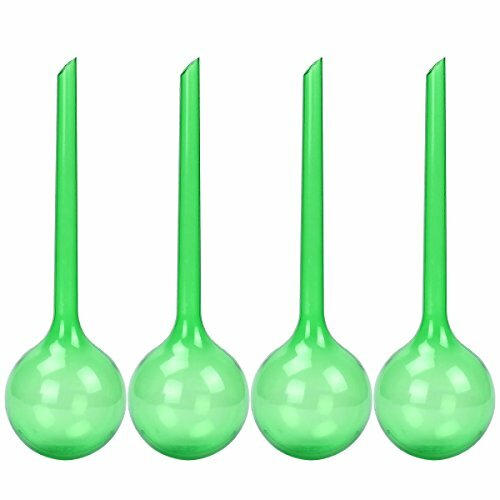 bouti1583 Pack of 4 House Plants PVC Watering Globes Spikes Aqua Stakes Automatic Self Watering System 10.3" Length, Dia. 3.1"
Take care of plants when you leaving! Two sizes available, pack of 4, perfect for all your pots. *Due to the light and screen setting difference, the items color may be slightly different from the pictures. *Because of manual measurement, please allow slight deviation for the measurement. If you have any questions about this product by bouti1583, contact us by completing and submitting the form below. If you are looking for a specif part number, please include it with your message.